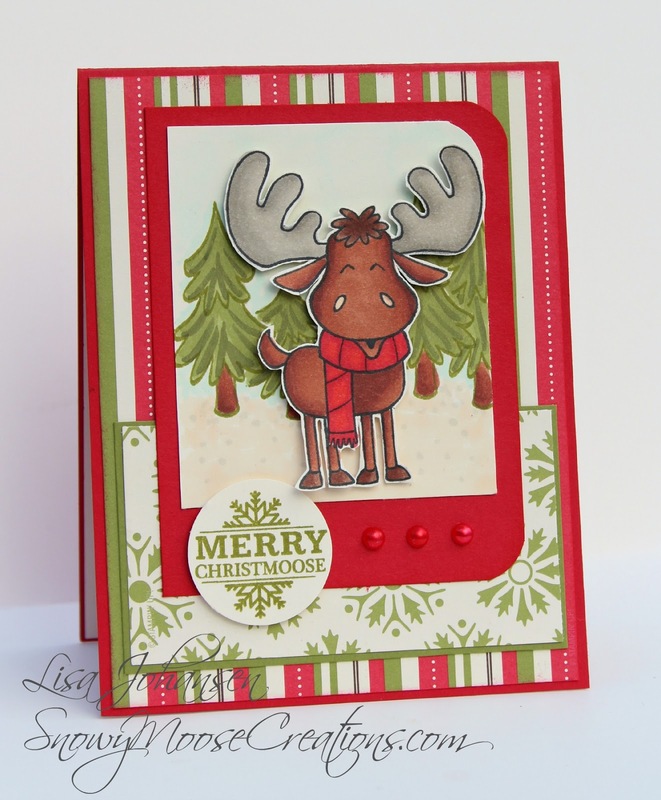 The calendar may say its spring but I have winter and Christmas on my mind so I made a Christmas card for the current SugarPea Designs sketch challenge. I came close to the deadline this time, yikes! There hasn't been enough play time lately! I adore this moose, he is just too cute. I used some older retired SU Christmas DSP to highlight him, with the main colors being Real Red and Old Olive. I did something a little different with his rack, using my W family Copics to color him in. A bull moose's rack is always lighter than their coat and depending on the light often looks like a grayish-brown color, especially after they have shed their velvet. I meant to put some snow on the trees behind the moose but forgot to do that, I got too busy yakking to my kids, ooops! I'll have to go back and add some with my white gel pen later. 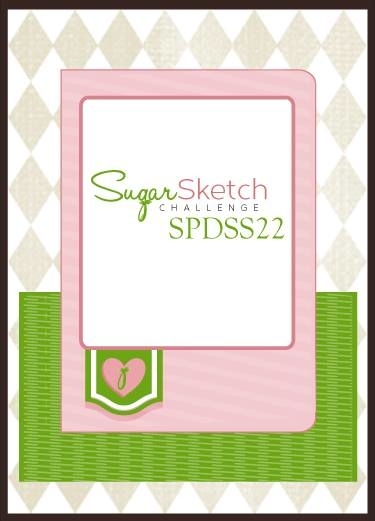 Make sure you head over to the SugarPea Designs blog and play along with their challenges! A random winner is chosen and you get a $10.00 gift certificate, plus they bump it to $15.00 if you use their products. How awesome is that? I recently one one of their gift certificates and ordered some really adorable sets from them, so stay tuned for those! I'm off to Wasilla for dinner with the family, I hope everyone is having a great day and thanks for stopping by! Oh my gosh...that moose is adorable! Very fun card!